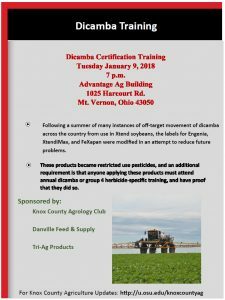 Reminder – Required Dicamba Training Tomorrow Night! Fo llowing a summer of many instances of off-target movement of dicamba across the country from use in Xtend soybeans, the labels for Engenia, XtendiMax, and FeXapan were modified in an attempt to reduce future problems. These products became restricted use pesticides, and an additional requirement is that anyone applying these products must attend annual dicamba or group 4 herbicide-specific training, and have proof that they did so. Details are still being worked out on this training for Ohio, but it will not be conducted by OSU Extension, or accomplished through OSU winter agronomy or pesticide recertification meetings. 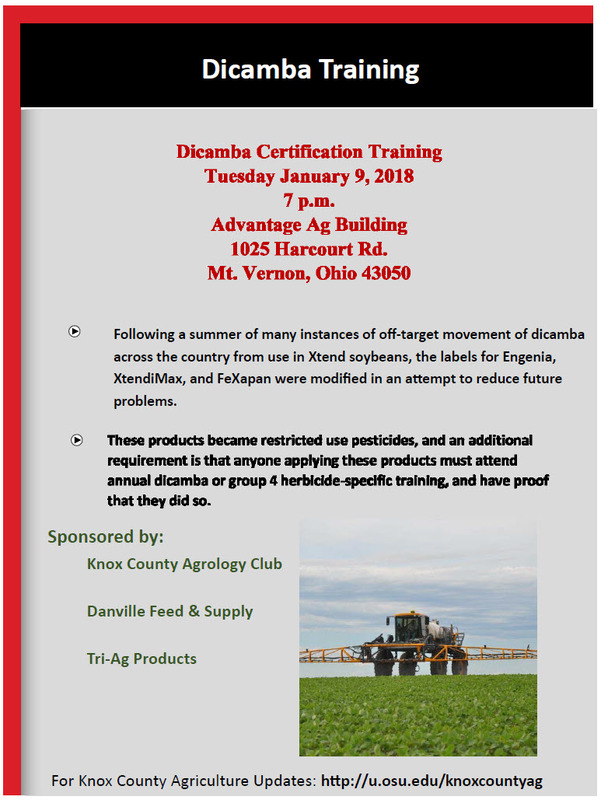 The flyer below contains information on a Knox County Dicamba training meeting sponsored by the Knox County Agrology Club and Danville Feed & Supply. 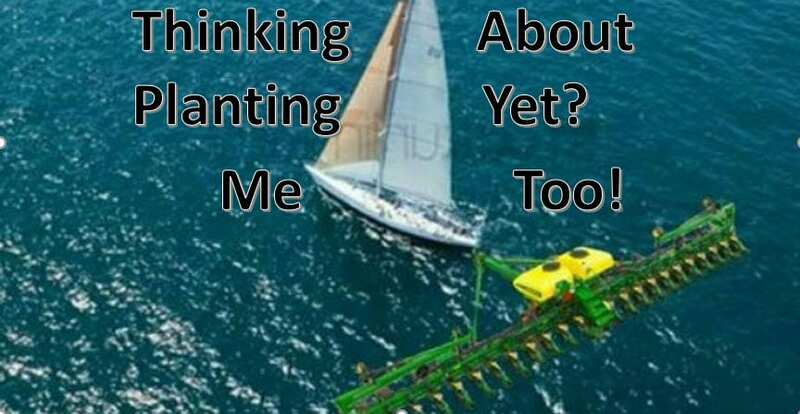 Posted by John at 4:20pm Posted in Field Crops, Pesticide Training, Pesticides, Soybeans. Bookmark the permalink.